Changes to lifestyle and driving habits can make your fuel go further. The continued increase in the petrol price means that expenditure on fuel quietly became one of the biggest expenses we face every month. 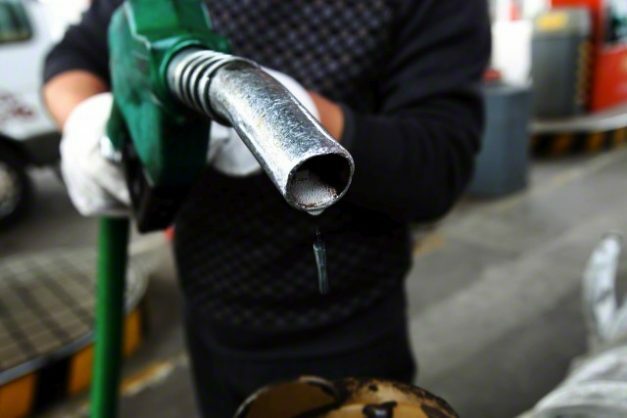 With the petrol price sitting at a record R14.97 per litre, SA motorists spend thousands of rand every month on petrol. Unfortunately, fuel is an unavoidable expense for most people as SA cities lack widespread and effective public transport systems. However, there are ways to reduce one’s fuel spend that could potentially save hundreds of rand every month. The easiest way to cut your fuel bill – and which will have the most pronounced effect on your wallet – is to change your driving style. Drive slower, do not speed up fast and rather coast to a stop than driving fast and braking hard. There is no need to pass every car on the road and getting worked up because there is a slower car in the right hand lane. Rather leave earlier, relax and listen to some music. See your daily commute as a rare moment of quiet personal time. A change in driving style from aggressive to a more relaxing (and safer) mode will immediately cut up to 20% off your fuel consumption. Suddenly, the manufacturers claim of fuel consumption will not seem like fiction anymore. A little bit of planning can cut out unnecessary kilometres. Just spend a minute to think of what you need to do and cut out driving all around town. Find a parking between your destinations and walk a few hundred metres. Think if you really need to go shopping today, or can it wait until tomorrow when you need to do something else as well? A lift club is not for everybody, but can save a lot of money. Driving with somebody in the office or the building next door cuts the fuel cost in half. Or organise a lift for the kids. It will save money, and you only have noisy, smelly kids in the car every second week. Crawling along in first gear at 20km/h in heavy traffic uses a lot of fuel. Beat the traffic by leaving earlier or wait 10 minutes for traffic around the school to clear before driving off. Tyres are of the most important components of a car, and probably the most neglected. Tyre manufacturer Michelin has found in a study that most drivers do not check their tyre pressure regularly and that the majority of cars are being driven with incorrect tyre pressures. Checking tyre pressure costs nothing and takes only a few minutes. According to Michelin, correct tyre pressure reduces fuel consumption by 8% to 10%, as well as wear on expensive tyres. It also makes your car much safer. Most cars have air conditioners and we all use them constantly, despite SA’s mostly mild weather. Air conditioner units use a lot of an engine’s energy and increases fuel consumption by up to 15%. Switch if off on mild days and use only the air circulation fan. Some air conditioners in luxury cars switch on automatically and need to be set to switch on only the fan. Most banks and some retailers have linked up with fuel companies to offer some kind of loyalty scheme. Sign up for a suitable loyalty programme that gives you cash back, discount on vitamins or points to buy a new TV. Absa’s fuel reward programme offers up to 15% cash back on fuel purchases from Sasol, while Standard Bank promises up to R2 per litre discount at Caltex filling stations. Both Absa and Standard Bank say that they reduced motorists’ costs by several millions in total in the last few years. Nedbank includes fuel purchases in its Greenbacks rewards programme, while FNB offers free pre-paid airtime of up to 15% of fuel spend. Cars with dirty air filters, old oil and fouled spark plugs perform sluggishly and use more fuel. A quick service will make the engine more efficient and the savings in fuel will pay for the service within a few months. And lastly, look at the fuel consumption if you are considering a new car.